Welcome to the page of upcoming shows and appearances. The current show that is touring is “Lighting the Fire”. It features images taken during the rise of classic rock and psychedelic eras mostly by Tom Franklin but some of Johnny’s as well. 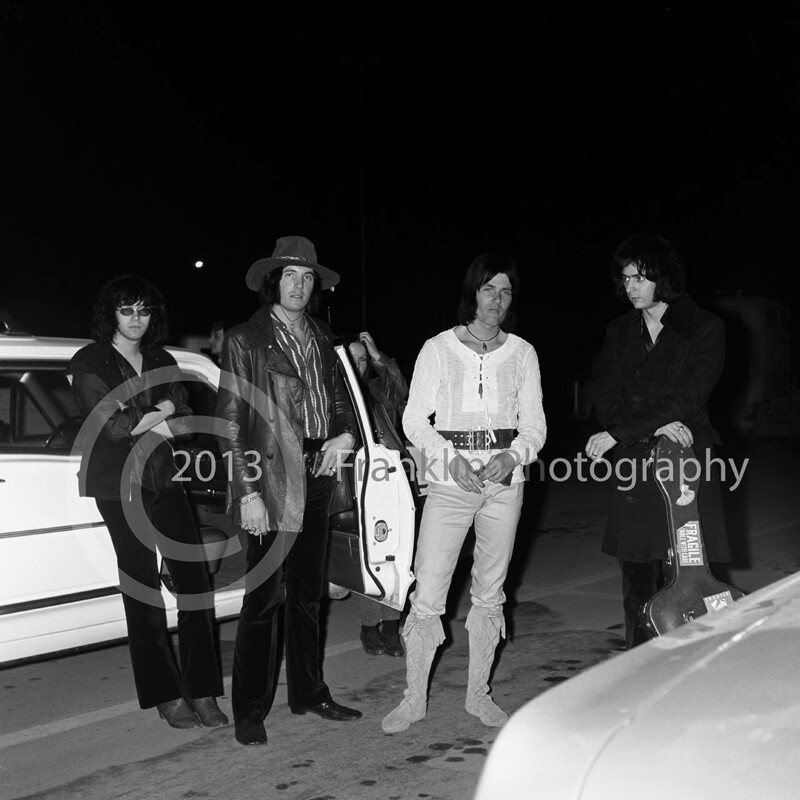 Tom and John’s pictures will be at the Mr. Musichead Gallery at 7511 W. Sunset Blvd. Los Angeles, CA 90046 from March 22nd to the 28th! 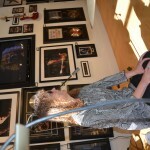 Opening night was March 22nd and we had a great turn out. The pictures will continue to be on display throughout the week. The gallery is open Monday through Saturday from 11 am to 5pm. 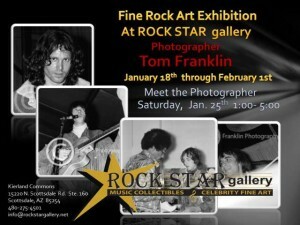 They are having a closing event on Saturday March 29th and photographer Tom Franklin will be there from noon to 5pm! Please come out to talk with photographer Tom Franklin. Click here to go to the Mr. Musichead gallery site. A special thanks to The Sound radio station for their help with the show! 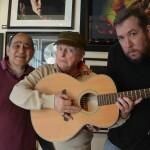 On Sunday March 23rd they had photographer Tom Franklin as a guest DJ on their show “My Turn”. Tom picked the songs that were played and talked about his experiences taking pictures of these bands in between the songs. Thank you so much to The Sound. Click here to go to The Sound radio website. Check out the very nice interview that made the front page of the Arts and Entertainment section of the Arizona Republic! 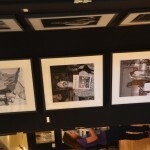 An awesome gallery and a great sponsor! 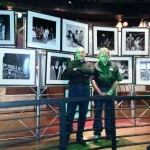 Tom and John’s pictures were featured at the Rock Star Gallery at 15220 N. Scottsdale Rd Suite 160 Scottsdale, AZ 85254 (480) 359-7381. 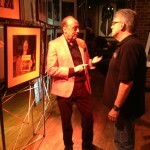 There was an event where you could meet the photographer Tom Franklin and also local legend Pat McMahon. This event was on January 25th and it went from 1pm to 5pm. 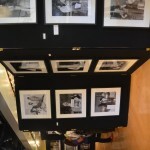 Pictures were on display and available for purchase from January 18th to February 2nd. The Meet the Photographer Event was a great success! 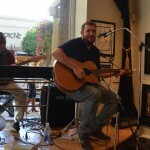 We had live music provided by the band Turtle Kingdom. Check them out on facebook here. 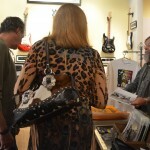 We had refreshments provided by the generous Rock Star Gallery. 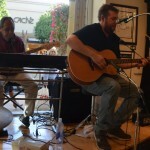 Pat McMahon did attend and was thrilled to hear the band cover his song “Work Work” from Hub Kapp in the Wheels. Tom was there to answer questions and talk to people who came in. A few people actually brought in their old copies of “A Closer Look” magazine that they had saved all these years. It was a great turn out. Thank you everyone who came to join us that day and all the others! 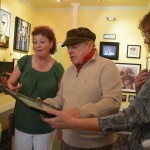 Tina shows local legend Pat McMahon a saved fan club letter from Hub Kapp and the Wheels. 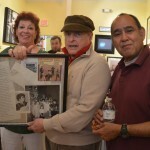 Pat McMahon with some Hub Kapp and the Wheels memorabilia and one of the members of Turtle Kingdom. January 16, 2014 Preview Party! 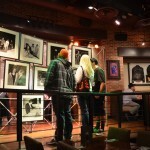 Tom and John’s pictures were at a special gathering at the Hard Rock Cafe in Phoenix Arizona on January 16th from 4pm to 7pm. People came to eat some food, hear some music, and check out the amazing photography. 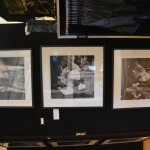 The photos on display at this show were printed in their original square shape just for the Hard Rock openings. 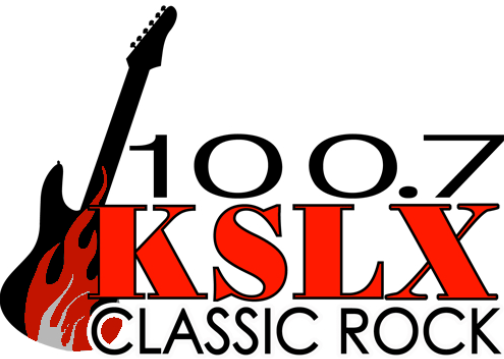 The show was sponsored by the Hard Rock Cafe and KSLX radio station. There were free appetizers and drinks available. It was a lovely night! Thanks again Hard Rock Cafe! A special thanks to another one of our sponsors KSLX radio!